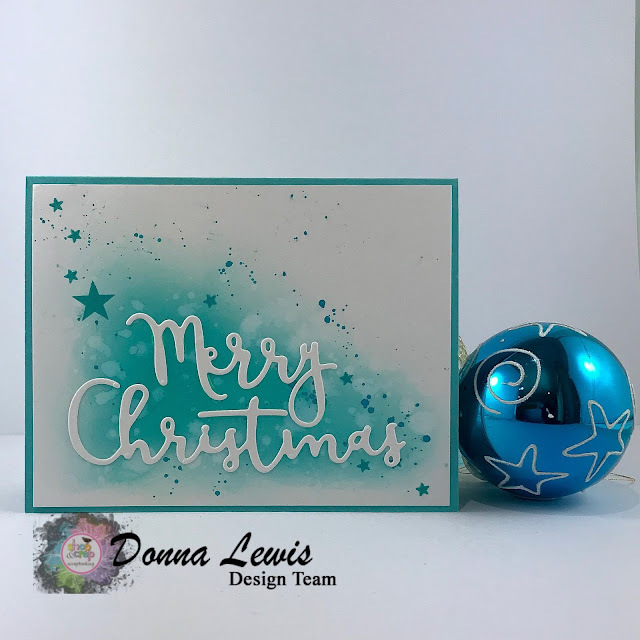 It's Donna here and I've got a set of four cards to share with you today, all of which use different techniques with Distress Oxides. 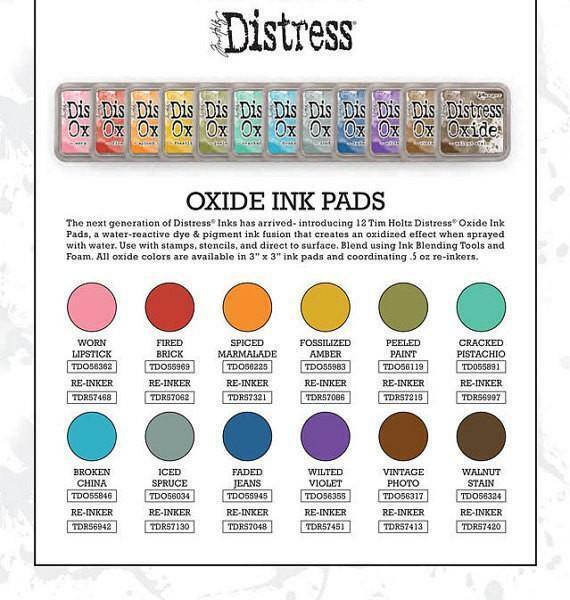 I purchased my Oxide Inks from Shop and Crop, and I thought they were the best value I'd seen. You can still order them through the shop, and if you use the code DL5 you can get a further $5 off the purchase price. 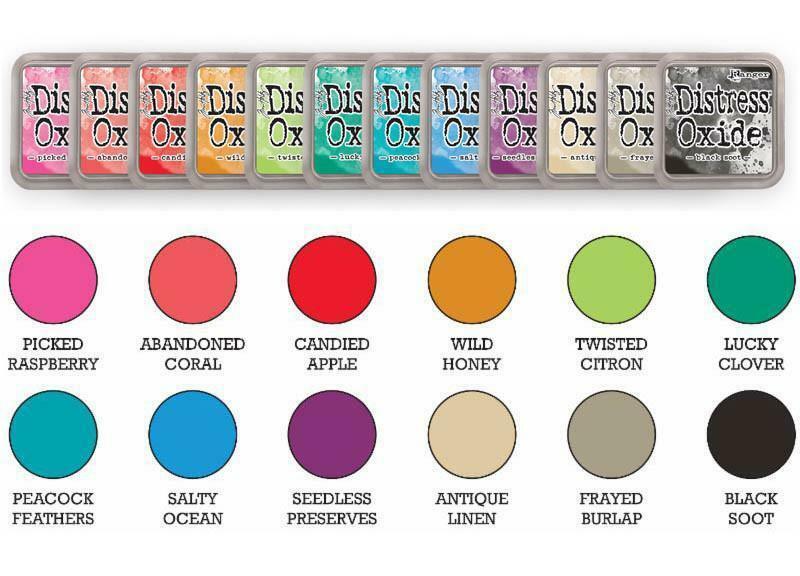 Today's cards use inks mostly from set 2, but the Worn Lipstick comes from set 1. 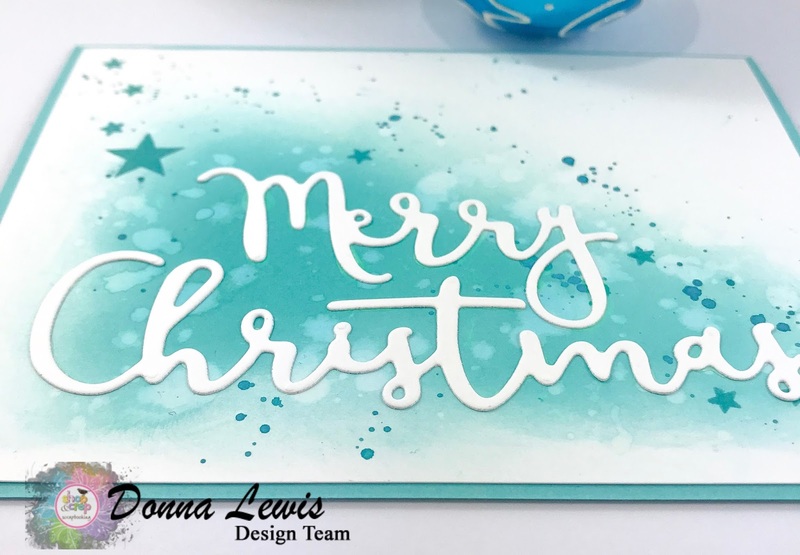 I have combined the Distress Oxide inks with stencils, embossing folders, water, paintbrushes, embossing powder and stamps to make the following cards. This first card used an embossing folder first, and the Distress Oxides in Twisted Citron and Peacock feathers to colour the fern leaves, rubbing very gently so that only the raised areas are coloured. The sentiment was coloured with Distress Oxide and heat embossed with clear embossing powder. This next card is my favourite. 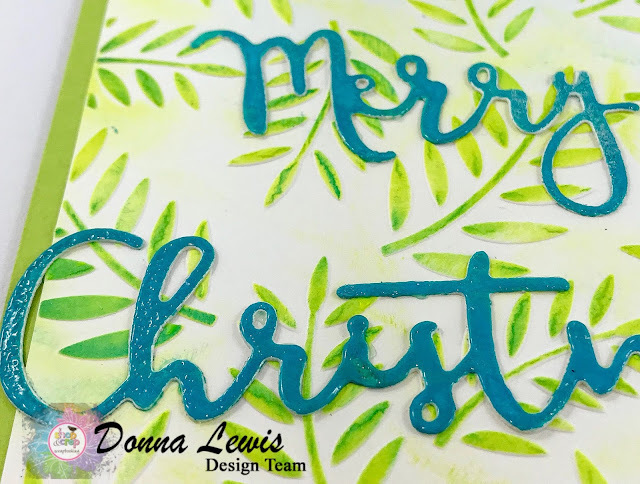 I have used an ink blending tool to spread the Peacock Feathers ink, and then spattered and stamped with the same ink. Next, I used a stencil over blended inks in Worn Lipstick, Abandoned Coral and Candied Apple. By spraying water through the stencil, I was able to get a soft triangle pattern. I used vellum to help the sentiment to stand out from the background. I used another piece that I had blended and used the stencil and water on to cut the pieces for the next card. 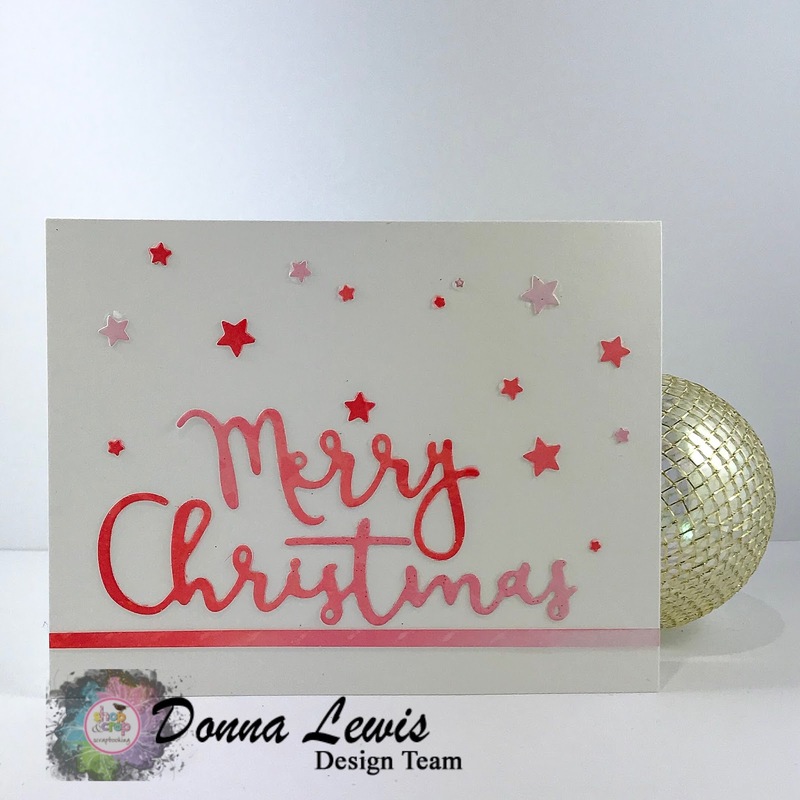 This card has a clean and simple look, despite being covered in pieces, because there is still plenty of white space left. I'll leave you with some close ups of the cards I created. 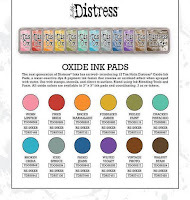 I'd really encourage you to grab some Distress Oxides and have a play with them, They are really versatile, and can be used in so many ways that it's easy to get your money's worth out of them. 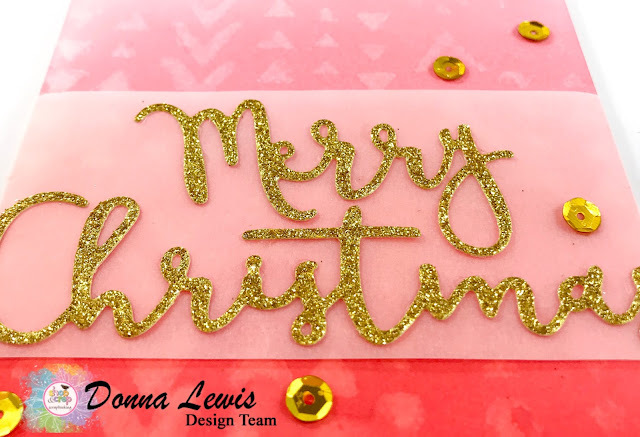 Merry Christmas to all of you, and I look forward to chatting again in the New Year!